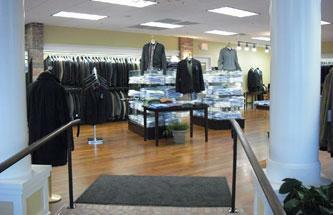 Campbell Haines was founded in 2011 to provide the very best in Specialty Menswear to the greater Wausau and Central Wisconsin area. Patrick Campbell and Ken Haines have years of experience in the men's apparel industry and will be happy to help you find exactly what you're looking for. They offer the finest names in men's suits, dress clothing, sportswear, formalwear, and accessories - all chosen with the gentlemen of Wausau in mind.